Featured in USA Today, the WSJ, Money, the Los Angeles Times, the Washington Post, and dozens more, Paying for College Without Going Broke helps students and their families maximize financial aid eligibility, follow line-by-line strategies on forms, and understand long- and short-term saving tactics. 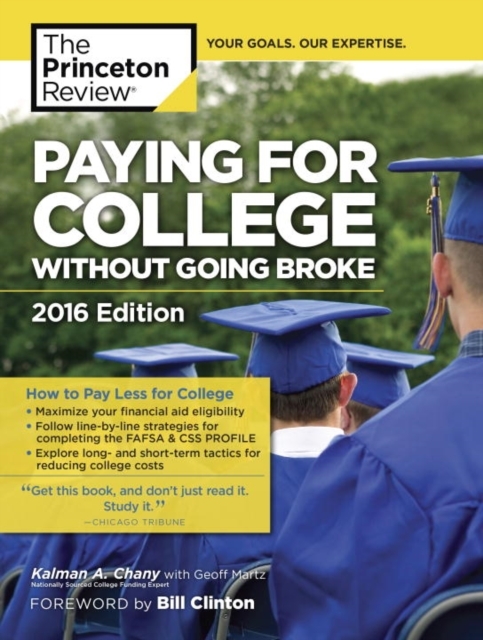 Packed with specific information, it guides parents and students with: -How to understand the financial aid (FA) process -How to pick a college with FA in mind -How to evaluate an aid offer and negotiate with the FA office -Long-term strategies (bonds, trusts, Coverdell ESAs, 529 plans, etc.) -Short-term strategies (taxes, real estate assets & liabilities, the impact of debt on an FA application) -State aid vs federal aid -And how to fill out all those forms (FAFSA, CSS Profile, etc.) to your advantage! Школьные учебники с доставкой в регионы: Копорье, Салават, Красноярск и др.